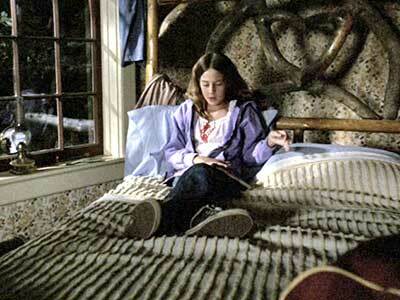 Shailene Woodley wears black high top Converse "Chuck Taylor" All Stars in the film. Tula Jeeters and Cali Ford form a bond in A Place Called Home. A Place Called Home redefines the term “family” as unlikely strangers come together and help each other in ways originally unimaginable. Tula, played by Ann-Margret, is an aging woman who encapsulates Southern beauty and feminine independence. Though her hard surface is only to envelop her many sorrows, for she is a longtime widow who is slowing going blind. Having truly lost hope in a better future or any form of human relationship, father and daughter drifters, Hank and Cali, land on her doorstep and the three form an unlikely bond as guards are slowly let down. Cali is sent to Tula’s front door to ask if they can spend the night. 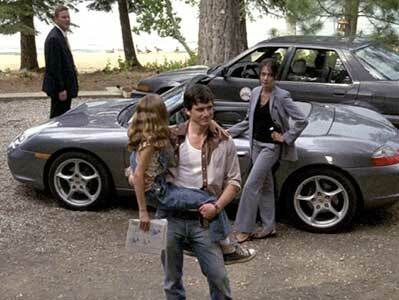 Hank (Matthew Settle) and young Cali’s stay with Tula was not first welcoming, yet was a matter of mutual convenience. Tula’s greedy niece and nephew are thirsty for her lofty estate, and will stop at nothing to rid her of her home. Tula hires Hank for odd jobs around her property, proving to the town and the newly hired social worker on her case that she is capable of upkeep. As Tula is reintroduced to the company of others, she begins to open up and take control of her life. Much is due to the strength of Cali, a school-aged girl played by a young Shailene Woodley, with wisdom beyond her years due to her flaky father and drifting lifestyle. Cali and Tula support each other’s goals, and Cali soon learns what it’s like to have a steady home and someone who she can rely on. Tula even begins to open to her heart to romantic love again, as does Hank who morphs under the positive affection and romance of Tula’s assigned social worker. Cali and her dad are able to stay at the resort for a while. The future is increasingly bright for Tula, Hank, and Cali, but the niece and nephew still have dollar signs in their eyes, and they have the town on their side. They collaborate with low-life townies and the sheriff to take down Tula, not being afraid to play dirty, resort to violence, and involve Hank. The trouble that ensued will test all the newly-formed relationships and the strength of every character involved. Will Hank run again? Will Tula ever love again? Will Cali ever know a steady home? That’s for the audience to learn in this guaranteed feel-good movie that will hook you through emotional character involvement and beautiful Colorado scenery. After an argument, Cali ends up moving into Tula’s house. 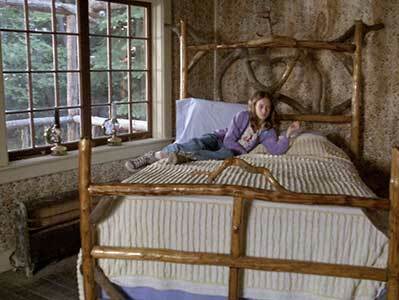 The director utilizes simple filming techniques to match the leisurely, country setting. Given this, the performance of the actors is truly emphasized and placed in the forefront, forcing the audience become in tune with the character development and the plot line. All main characters undergo a drastic internal change that corresponds to an earlier struggle, though Tula’s transformation feels tangible, attributable to Ann-Margret’s acting. Ann-Margret is truly the shining star in this film. When we first meet Tula she is no doubt independent and resilient, but her isolation gives her personality an air of uncertainty and defensiveness. Under the influence of Cali, Tula’s demeanor tangibly alters as she carriers her independence in a new way – with grace, poise, and utter self-certainty. Her warmth begins to radiate through the previously impenetrable layer. This isn’t an easy transformation for an actor, but Ann-Margret delivers and makes the film the heart-warmer it is. A happy reconciliation between Hank and Cali. Cali relaxing on her bed. Throughout the film, Cali wears black high top chucks, the perfect shoe for such a tough cookie. We first see her chucks hit the scene when she approaches Tula’s home for the first time with her father, and she takes the lead to confidently introduce herself and Hank to Tula without skipping a beat in her story. You wouldn’t expect such a brave girl to wear any other footwear. Cali is reading a book. A Place Called Home. (2005) Ann-Margret, Shailene Woodley, Matthew Settle, Hunter Tylo, Gary Sandy. Directed by Michael Tuchner.